The striper’s continue to bite well in the surf. 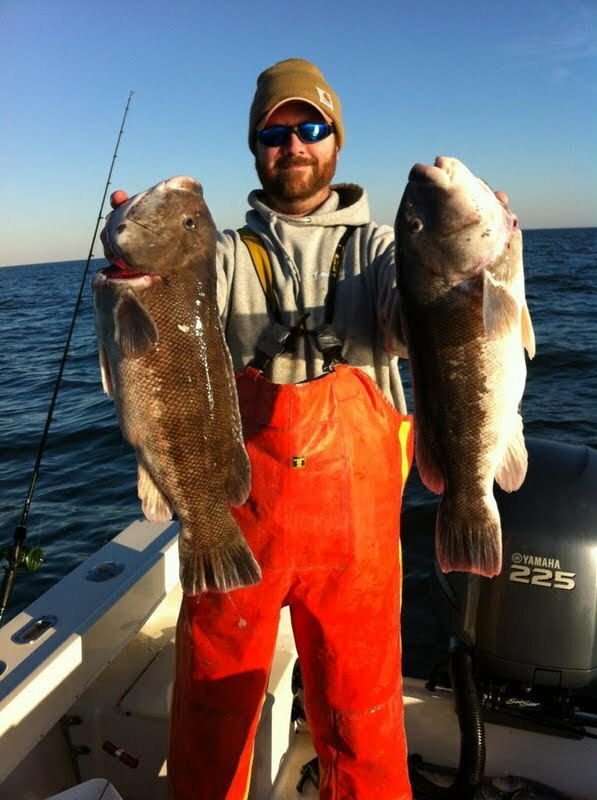 Jason and Paul just stopped by to show off a couple nice ones they took this morning. They had several other bites but where unable to hook up. After gearing up they where headed back out for the after noon tide. Fresh clams have been the bait of choice. Try too get out there wile the whether lasts. The tog fishing has been red hot. Even I was able to make it out this week we came home with a limit. The two I’m holding are 26In and 24In. The Star Fish Party Boat has also been doing very well they sailed almost every day this week with the nice weather and gooood fishing get out there. There have also been many good reports of stripers off the beach mostly on fresh clam. The weather the next couple of days looks great so get out and do a little fishing.